At least 11 people have been killed in a stampede after a religious service in a stadium in Kwekwe, Zimbabwe, police say. 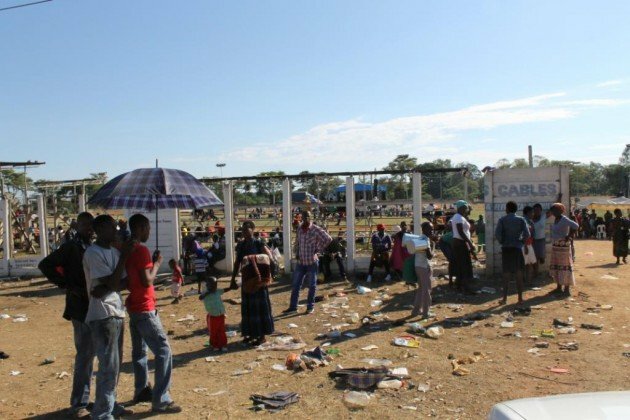 Four people died in the stadium in the central town of Kwekwe, while seven others were declared dead on arrival in hospital. The stampede occurred as thousands of worshippers rushed to leave after the service by popular Pentecostal preacher Walter Magaya. Walter Magaya claims to be able to heal people by performing miracles. Some witnesses accused the police of blocking most of the stadium exits and then firing tear gas as people battled to get through the only one left open. The police have denied firing tear gas. Walter Magaya, head of the Prophetic Healing and Deliverance (PHD) Ministries, told a local newspaper that when he learnt of the deaths, it was “the saddest moment of my life”.